If you need power that will last for hours, nothing is as reliable as our 602 Lithium Battery. Good for up to 500 charges, this lightweight power source can produce heat for up to 5 hours. And that's just on a single charge. What kind of heated garment will the 602A battery power? How do I change the temperature? The 602A battery has a built-in temperature controller that allows you to adjust the heating effect according to your desired preference. All you need to do is press (don't hold) the power button to sift through the 4 temperature color settings. How do I charge the 602A battery? Just connect the battery to the charger, plug it in and after 4-5 hours your 602A battery is ready to use again. 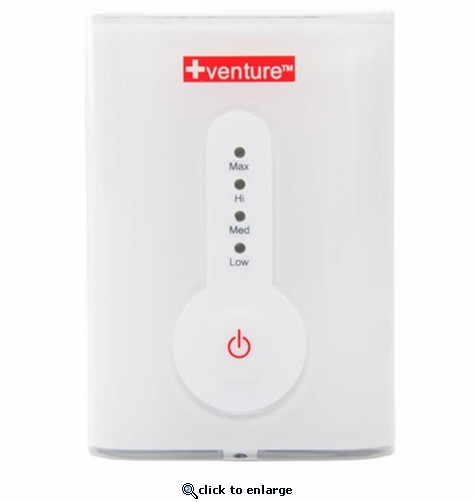 Venture Heat Warranty: The warranty period for Venture Heat products is as follows: Battery Heated Clothing - 12 Months, 12V Power Sports Gear - 12 Months, Heat Therapy Wraps - 12 Months, Batteries - 6 Months. I was GLAD to find out that The Warming Store had these LI Batteries.